With only a week remaining for the resurrection of Jawa - based on spy shots this week, it's fair to say the company is keen to show more than one bike. Mahindra acquired Jawa brand back in 2016. Ever since then, it has been a wait for fans of Jawa for a resurrection. The wait will finally get over when Classic Legends, a Mahindra owned company, unveils the all new generation of Jawa motorcycles on 15th November. 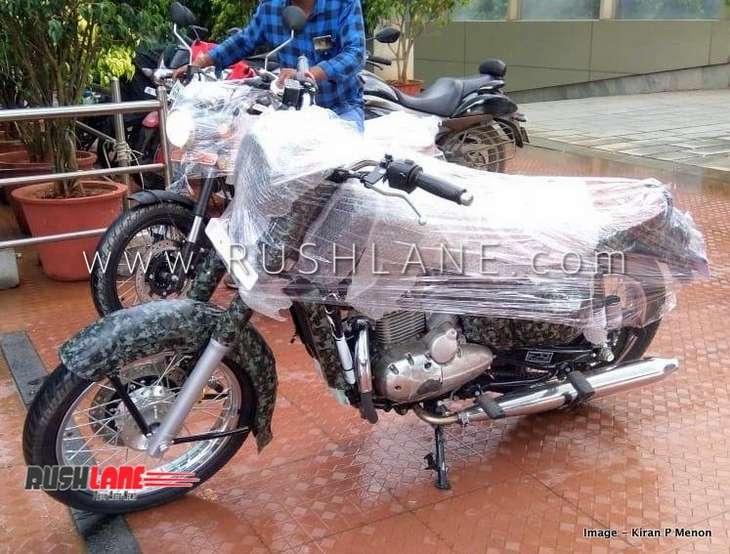 Ahead of global debut, atleast two Jawa motorcycles have leaked. One is a classic Jawa styled, other is adventure version to rival Royal Enfield Himalayan. 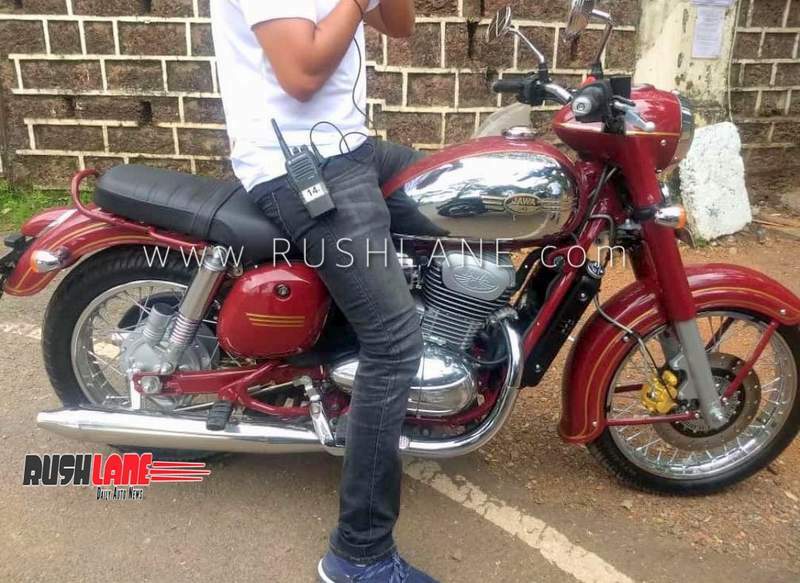 It is the classic Jawa which has now been spied along with a Suzuki Intruder 155 cruiser motorcycle. The first two motorcycles in the photo are Jawa, the last one is Suzuki Intruder 155. Popularly termed as Jawa 300, the classic styled version borrows design inspiration from yesteryears. The reworked maroon paint and distinct dull gold/bronze design lines, chrome headlight bazel, chrome panels on the fuel tank, flat long double saddle/seat, and plenty of chrome bits are reminiscent of Jawas of the past. The silencer design is changed and no longer ends in a narrow pipe design, and there’s taillights on this bike. Power comes from a 293cc, single-cylinder, liquid-cooled engine. The company says this is a new engine and shares little with the company’s existing 300cc engine used in Mahindra Mojo. This engine is rated to deliver 27 PS and 28 Nm. Expected to be BS-VI compliant, the bike features a front telescopic fork, and twin shock absorbers. With all new bikes required to install ABS by next year, Jawa 300 puts to task a front disk brake, and rear drum brake. The single channel ABS offering debuts on November 15, 2018. While the new 300 cc retro classic inspired from the original Deluxe is yet to be christened officially, there is also an adventure tourer that’s incoming. This is in line with Jawa Motorcycles’ teasers which pointed to a classic, Bobber, cafe racer and an adventure tourer in the making.